Anyone who rolls keto-style probably has quite the love/ hate relationship with them. We live in a fast-paced, high pressure society. Everything needs to be done now, now, now! Traffic on the commute is crazy. Work projects are always “due yesterday.” Throw in a family- especially children and all the activities and obligations they tend to accumulate- and many people (probably most) exist in a state of being perpetually pressed for time. This is where the love-hate thing comes in. The last thing a lot of folks want to do is come home after an extremely busy day and have to make absolutely everything they plan on putting into their mouths from scratch, which is why we twenty-first century peeps love our convenience foods. The problem is that the vast majority of things you can just grab-and-go with aren’t going to be friendly to your Ketogenic lifestyle, and those that are truly friendly tend to be difficult to acquire and extremely expensive ($7 + shipping for a box of four English muffins, for example). Hence the hate part. 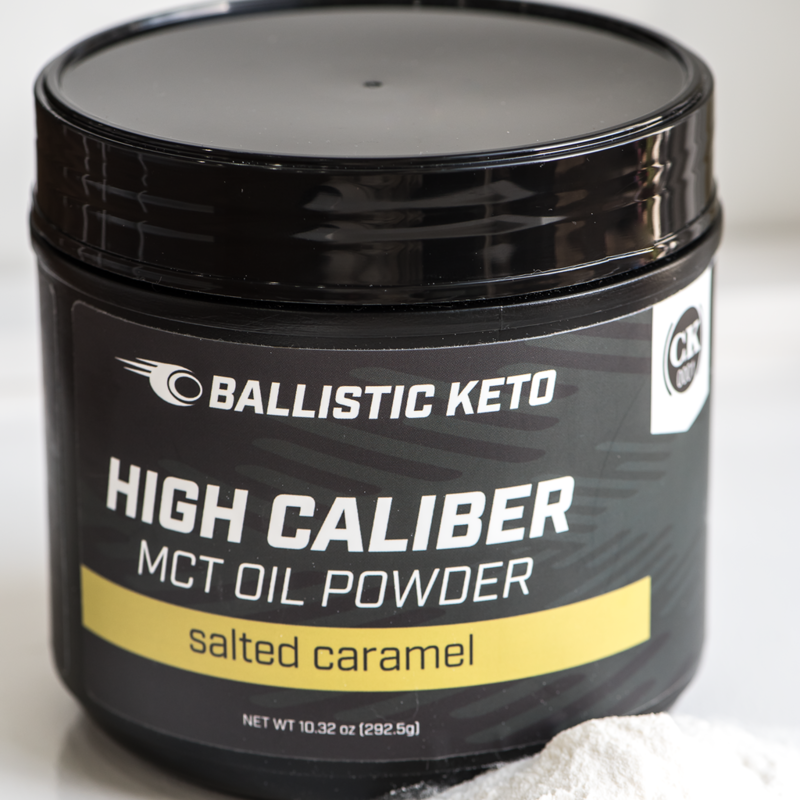 As I’ve said in this space more than once, no one expects you to be a hermit and spend your every waking moment at home, preparing your perfectly compliant Ketogenic meals. If you go out to eat every now and again- and we all do- even the best choices on the menu are going to be prepared with some degree of non-keto ingredients. Those deep fried hot wings? Cooked in soy or vegetable oil. Blue cheese or ranch dressing with your veggies? Junk oils in those, and possibly sugar. Cheese sauce on your meat? Likely made with milk or thickened with some kind of starch. Seasoning or rub on your meats? Likely has sugar or dextrose in the mix. That’s not to scare anyone off of eating out. Go and enjoy yourself from time to time, while making the best choices you can! But be sure you clearly understand: It can’t be an every day thing. If you’re eating out all the time, you’re eating very dirty keto, and that can have negative health consequences in addition to leading to stalls and reigniting inflammation, etc., and so on. The same absolutely has to go for your food choices at home, and for the same reasons. Seemingly friendly convenience products (bottled dressings, boxed gelatin or pudding mixes, pre-shredded cheeses, or anything labeled “sugar free” for example) are a part of a lot of people’s keto reality. Just like eating out, however, they need to be an occasional thing and not a part of your every day lifestyle. Maltodextrin is usually listed on the glycemic index somewhere between 105-136 (yes, it can vary that widely). For reference, regular old table sugar is about 60. Aspartame as an artificial sweetener is listed as zero on the glycemic index, however the safety of this sweetener has been controversial for decades, and while it technically shouldn’t mess with your blood glucose or insulin levels, testing has shown there may still be a rise in both after consuming it. Acesulfame Potassium (also known as Ace-K) is another sweetener that is supposed to be zero on the glycemic index but has been found to stimulate insulin release at similar levels to glucose in experimentation. In other words, while that boxed gelatin may technically be “sugar-free” your body may behave like you’ve just eaten real sugar. This is in addition to continuing to feed the “sugar monster” with foods that taste just like the old, sugar sweetened stuff. Eating products like sugar-free gelatin are notorious for continuing to stimulate the parts of the brain that cause cravings, which is always bad news. Whereas, if you made your own with plain gelatin, water, stevia, and whatever extract you like to flavor it, you can have the same occasional “treat” without the junk ingredients and without that overly sweet, sugary taste that we all get so addicted to. This is just one of many, many product examples I could use. It is also why we here at Ketovangelist are somewhat notorious in the community for being hard-liners against the If It Fits Your Macros (IIFYM) approach. The bottom line: Ingredients matter. We know that eating sugar-free gelatin and pre-shredded cheese (coated with starch) and “low carb” tortillas (they have wheat in them, people!!!) are so much easier than gathering all the individual ingredients, and prepping and/or cooking those things yourself. I myself am a home-schooling mother of two (ten and seven). I’ve got the schooling to stay on top of (the actual schooling and all the prep work for it), all the activities they’re involved in, not to mention my own work plus keeping the house clean and everyone’s clothes laundered… when you add meal planning and preparation into the mix, I more than understand that press for time. I absolutely get it. Life would be so much easier if I didn’t have to spend the time prepping meals (or parts of meals, but if I consistently went to convenience foods my results, both weight-wise, and health-wise (physically and mentally) wouldn’t be what they are today. Again, I’m not trying to frighten anyone, but this is stuff you need to be aware of when making your choices. Regular use of convenience products is a very common underlying cause of weight loss stalls, and that’s at the very least. If you have your blood drawn after an extended period of being keto and it comes back worse than you were expecting, check your convenience foods. You may find things in them that aren’t so friendly. This is why we harp on ingredients. It’s not to be a jerk, it’s to help you to achieve your own Ketogenic Success by getting the best results possible.